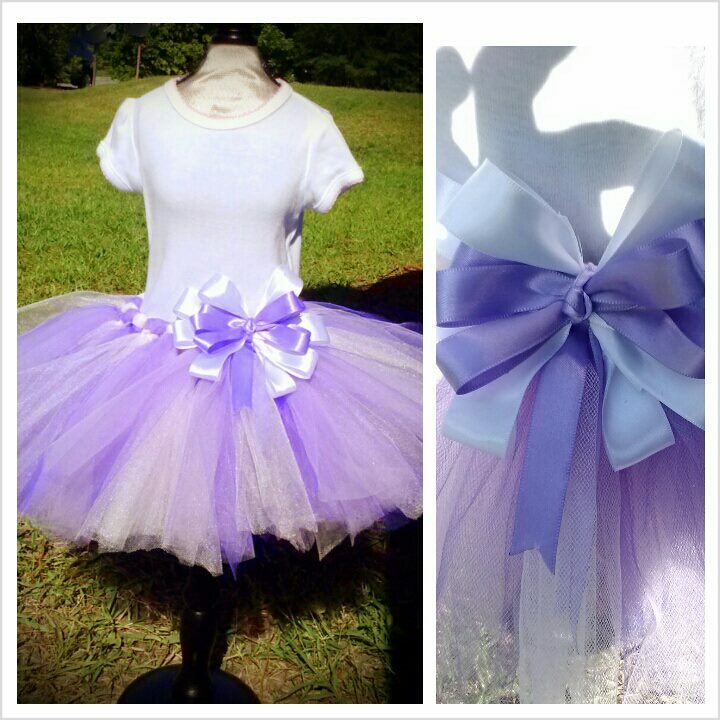 Tutu for You, Tutu for Me - What Doing Mommy? 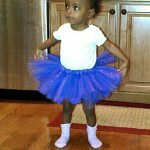 In 2013 I decided it was high time that my daughter had a fabulous tutu. Every little girl needs a tutu or two or three right? But I couldn’t go out and buy just any tutu. I was determined to make the tutu!!! I searched online for a few tutorials to get me started. I needed something that did not require sewing because that is one talent I definitely do not have. I came across quite a few. There were even some YouTube vids that were helpful. I merged a few of the tips and created my very first tutu. It was simple enough to make because my daughter was itty bitty. But I must caution against the glittery/shimmery tulle. The glitter seemed to get everywhere. I was so surprised at how easy it was that I decided to do another. This time a Minnie Mouse theme for Katelyn’s 2nd birthday. I went to Hobby Lobby (fyi I no longer shop there given their contraception restrictions) and went crazy in the tulle section. I even bought a child mannequin so my tutu could rest comfortably. Ha! 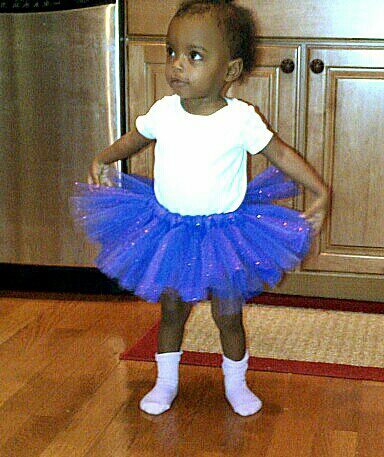 As you can see I made this tutu much fuller than the first. In the end I had to do a bit of trimming so that it didn’t swallow her when she put it on. I used a crochet headband for the waist band on this tutu rather than the elastic band based on the recommendation of several tutorials for achieving a fuller skirt. It wasn’t much longer before I decided to make another. This time I used Sophia the First as inspiration using lavender and white. I also decided I needed to give this one away because clearly Katelyn couldn’t wear all of these tutus. After I received the waist measurements I went to work. It took me about a week to complete. But I was pleased with the final product. I made the bow that is pictured as well. Ribbon and a hot glue gun was all I needed for that small project. 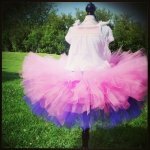 After posting a few pics on Instagram I had an actual request for a tutu.This time the tutu would be for a friends niece that was 6yrs old. The largest I had ever made. I wasn’t sure how this one would go down. I asked my friend to just pay for shipping because I was nervous it wouldn’t turn out in my favor. It took me two weeks but I managed to get it done. I call this one my “Cotton Candy Tutu”. I can’t wait to make my next tutu. I haven’t found the time lately. I already have my tulle ready to go. 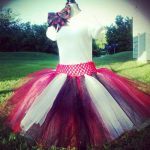 If you are looking for a simple project for a sweet girl I totally recommend trying your hand at a tutu. Below are the list of materials I found helpful as well as links to the most useful tutorials. Have fun! Materials Needed: Tulle (on a spool), Elastic Band or Crochet Headband, Scissors, Measuring Tape, Ribbon (for elastic waistband or bow), something sturdy to secure your elastic band or headband as you work…I used a piece of cardboard. Biggest Challenge: Accurate measurement of elastic to fit waist and allow for growth. Deciding on length of tulle. When in doubt go longer so you can cut down.